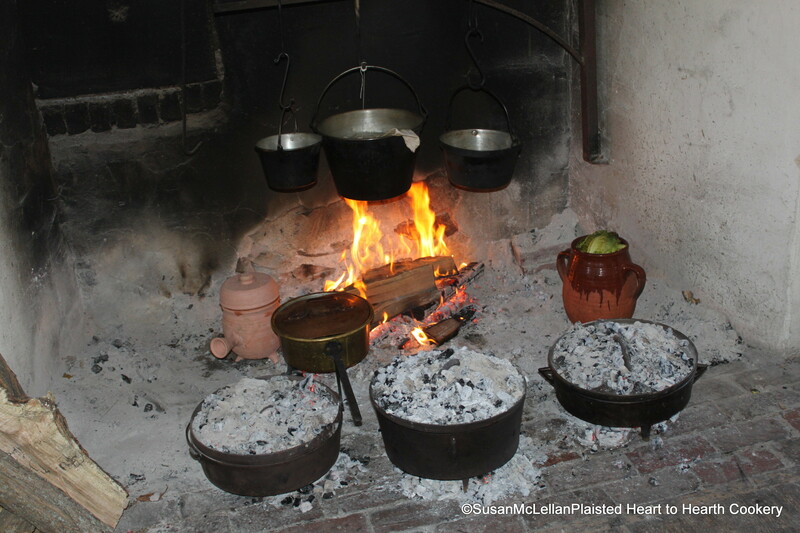 The center original bake kettle was used to bake the receipt (recipe) To make a Pear Pudding. Note that the original kettle has taller legs, distinctive ears (handles) and is without a bail. A reproduction original bake kettle to the right has the same characteristics but is much shallower in depth. On the left, a standard bailed bake kettle with short legs.